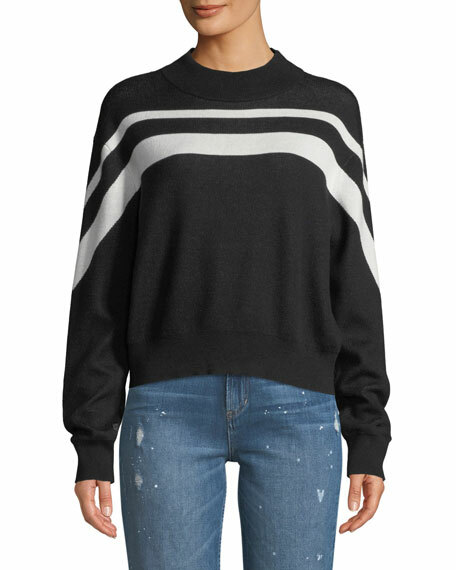 Etoile Isabel Marant "Kimo" sweater with contrast stripes. Crew neckline. Long sleeves. Slim silhouette. 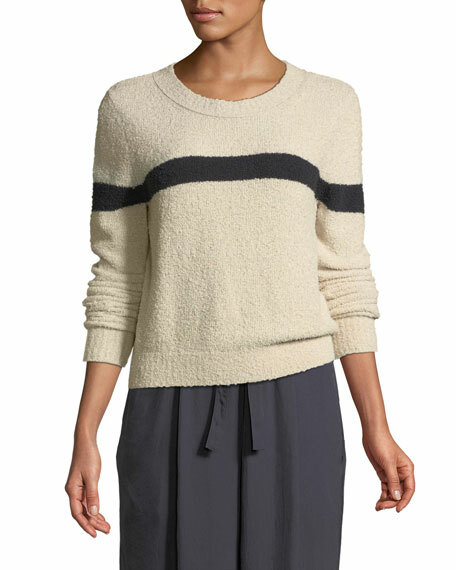 Cropped hem. 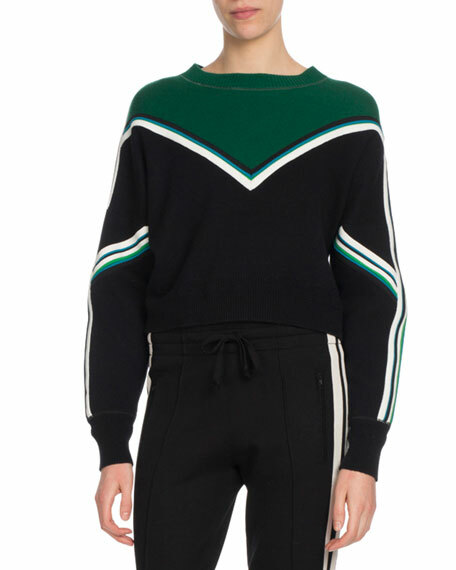 Pullover style. ... Imported. 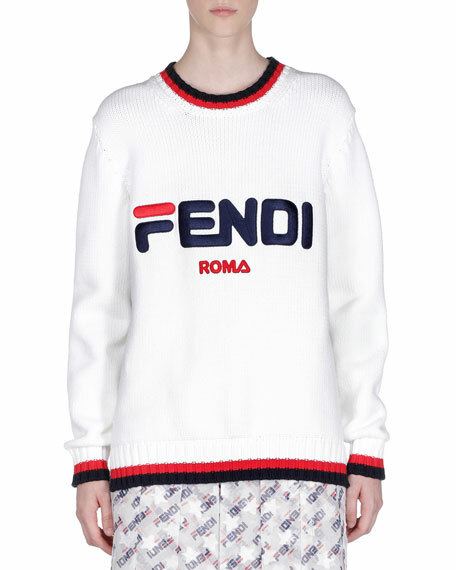 Fendi sweater with Fendi Mania logo embroidery and striped, ribbed trim. Crew neckline. Long sleeves. Relaxed fit. 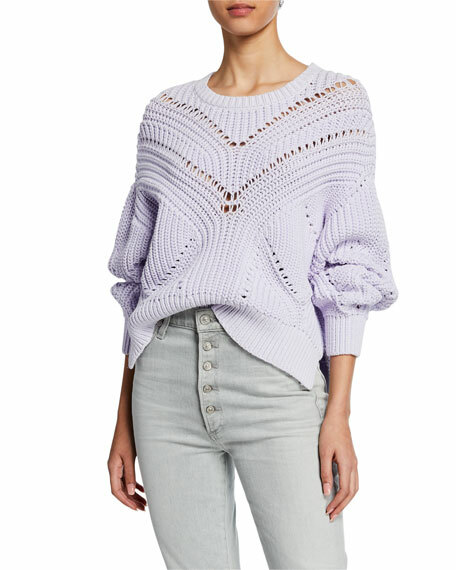 Pullover style. Cotton. Made in Italy. 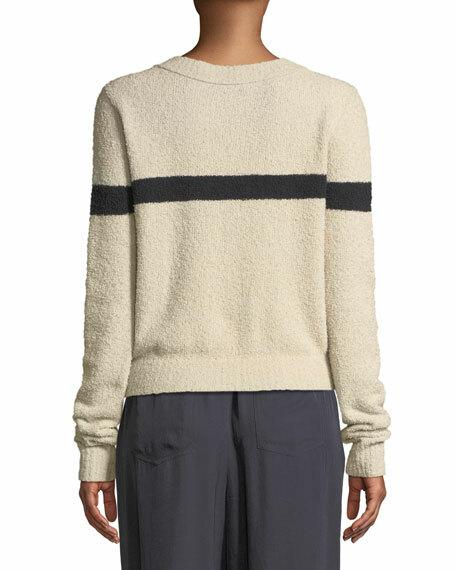 Iro "Loaded" chunky knit sweater. Crew neckline. Long sleeves. Dropped shoulders. Relaxed fit. Side splits. Slightly cropped. 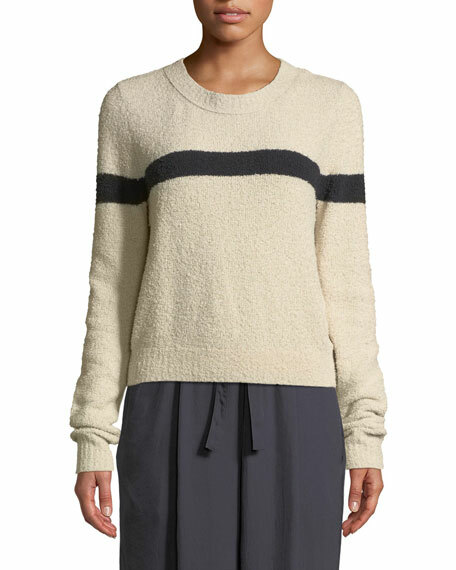 Pullover style. Cotton/nylon. Imported.